Brrrr. It’s cold today. I heard it snowed in Fort Mill. We are spending the weekend in Florence, SC with the Nation Ford Boys’ Tennis Team. 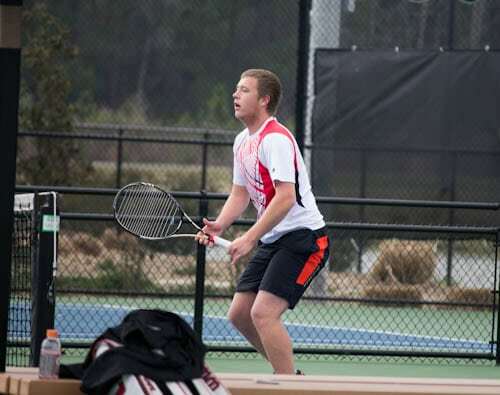 They are playing in the High School Boys Tennis Tournament at the Florence Tennis Center. Probably the coolest thing about blogging is you can do it from pretty much anywhere. And tonight I blog to you from the Marriott Residence Inn in Florence. Had I blogged yesterday, it would have been from the Fairfield Inn, but we got out of there real fast. It was in such a state of disrepair, they actually had duck tape on some of the exterior steps covering up spots that had experienced a little too much wear and tear. The tennis team is staying at a different hotel all together, but since we brought our dog with us, we are limited to dog-friendly hotels. After staying at this Marriott Residence Inn, I don’t think I’ll ever want to stay in another hotel again. 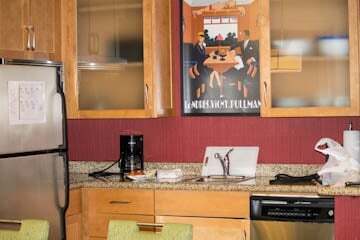 We have 2 huge rooms and pretty much a full kitchen with nice countertops, pretty cabinets, and stainless steel appliances. Ok, maybe they just look like stainless steel, but still. There’s even a dishwasher. I’m thinking maybe I could just move in and do all my cooking and food blogging here. I love staying in hotels. Opening drawers and finding them to be empty instead of crammed full of disorganized mess, makes me happy. Someone else making the beds and placing clean towels in the bathroom, makes me happy. Being forced to only have the essentials and having an excuse for wearing the same clothes a few days in a row, makes me happy. Maybe I should become a traveling food blogger and travel across the state staying in Marriott Residence Inns. Do you think they would give me a discount? Because I’d need one. Only problem is, Darla, my dog, would need to go on anxiety meds. She’s not so sure about hotel life. Too many strange noises and people coming and going. And the elevator is going to take some getting used to. I think she slept with 1 eye open last night. She was probably afraid that we would leave in the middle of the night and she wanted to make sure she was going with us. The problem with having a rescue dog is you never know what exactly their fears and anxieties stem from. But back to the cold weather. 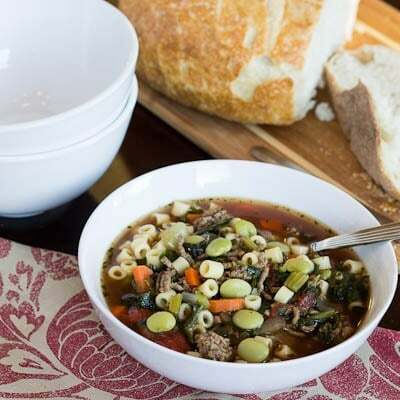 No better meal for frigid temps than minestrone. And why not do it southern style with ground beef, lima beans, and collard greens? 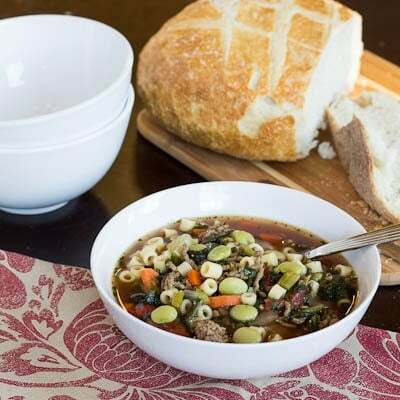 Southern Minestrone is a filling and satisfying meal. And I didn’t, but I totally could have made this meal right here in the Marriott Residence Inn. Spray a Dutch oven with cooking spray and place over medium-high heat. Add ground beef and cook until mostly browned, using a wooden spoon to break ground beef up as it cooks. Add onion, carrots, and celery and cook until softened, about 5 minutes. Add garlic and cook 1 more minute. Add broth and tomatoes and simmer for 20 minutes. During the last 6-8 minutes, add pasta, lima beans. collard greens, oregano, and tabasco sauce. Season to taste with salt and pepper. 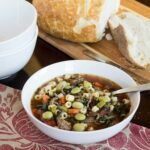 This entry was posted in Soups and Stews and tagged Florence, Florence Tennis Center, Marriott Residence Inn, minestrone, SC. Bookmark the permalink.